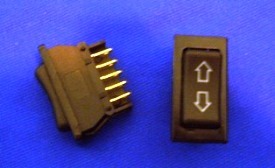 Reverse polarity switches. Comes w/ 5 wire Pigtail ( not pictured ). Price per each. Size 1.5x.75"